Barcelona can claim to have it all: premium wines, extraordinary restaurants, an alluring climate, inspiring architecture, a multitude of beaches and excellent shopping. 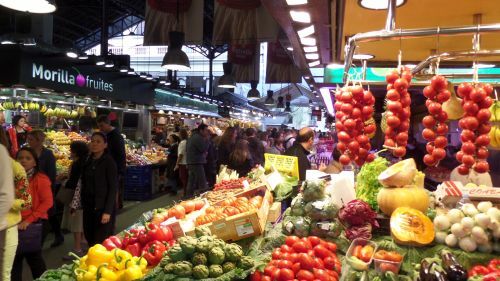 There’s several ways to experience Barcelona and its abundant choices. It’s my take that the luxury route is the best one. Barcelona is known as one of Europe’s most popular tourist destinations, and for good reason. With a bit of planning and a few days to soak in its stunning diversity, this is the place to be to experience wild and wonderful architecture, world class museums and galleries, high-end lodging and impressive shops, wines and cultural activities. Barcelona boasts some of the most innovative cuisine in the world. Go here to drink wine in lively bars, savor the taste of Spain at traditional tapas restaurants, and soak up the atmosphere of this vibrant and cosmopolitan Catalan city. Here’s your guide to Barcelona’s best lodging, attractions, restaurants, bars and unusual experiences. Modern luxury design hotels are no longer a rarity in Barcelona. Here are two choices for you to consider. Both are centrally located to Las Ramblas, where much of the high life and night life can be found. 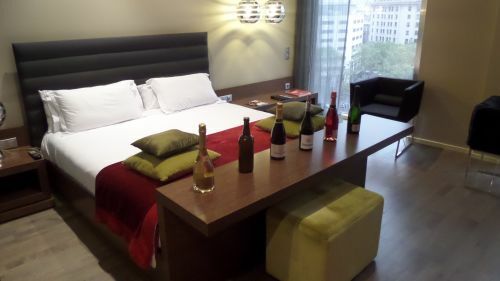 The Olivia Plaza is a 4-star Boutique Hotel opened in 2006 and located in Plaça Catalunya, right in the city center. It is just a few steps from shopping, tour buses, the financial center, and the best museums and restaurants. A 15 minute walk takes you to a small port where you can rent a boat or stroll near the water. If you expect the finest, this is the place for you. Definitely book the Superior Terrace option. There are just 4 exclusive rooms in this category. It features the best accommodations and a terrace. Magic and luxury marry to offer a memorable stay with the best of Barcelona at your feet. This is lodging you must try. 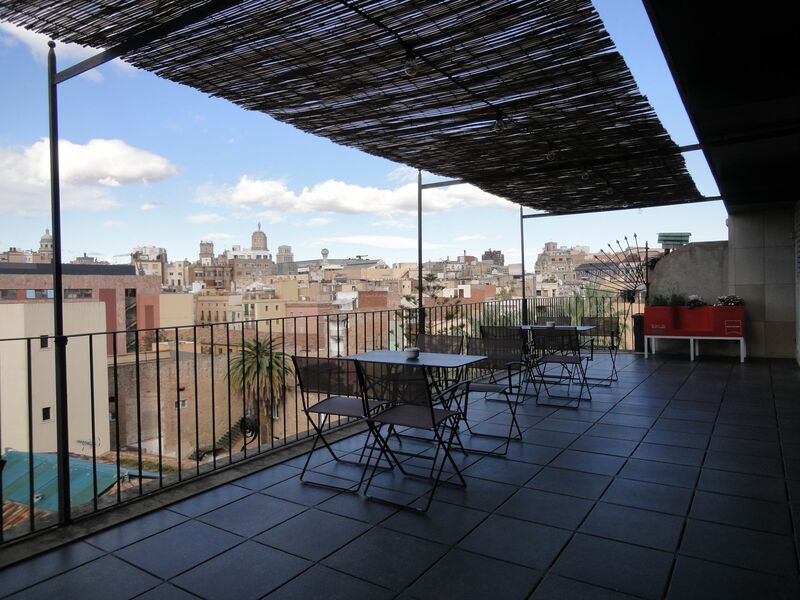 Casa Camper is located just 10 minutes from The Olivia Plaza in the heart of the Raval. You’ll enjoy the close proximately to trendy bars and restaurants, and you are just walkable minutes away from the Museum of Contemporary Art, the Centre of Contemporary Culture and the Las Ramblas. This is the perfect hotel to base yourself to explore the city. It is ranked #1 of 522 hotels in Barcelona by TripAdvisor. There are only 25 rooms, 5 on each floor. Book a suite. The Camper Suites (37 square meters) offer two different spaces integrated in the same room and only divided by a sliding door. The bedroom faces a vertical hanging garden and an additional room, the ‘mini-lounge’, features a second flat screen TV, a hammock, a sofa, a working table, and a balcony onto Elisabets Street. Also , don’t miss the top view terrace. Because it is has so few rooms, you must book in advance. People who love this place, book over and over again. It is not your typical high end looking hotel, but it is definitely a high end experience. Casa Camper provides a wide range of complimentary services: Wi-Fi throughout, a business center, a to-order full breakfast and buffet, and – surprisingly – as many snacks as you want. The snack center is located in the lobby and offers sandwiches, soup, salads, pastries, bakery, soft drinks, juices, water, coffee and tea. This is a thoughtful place that will leave you feeling thoroughly looked after. Absolutely arrange a one day escape to Cava wine country. 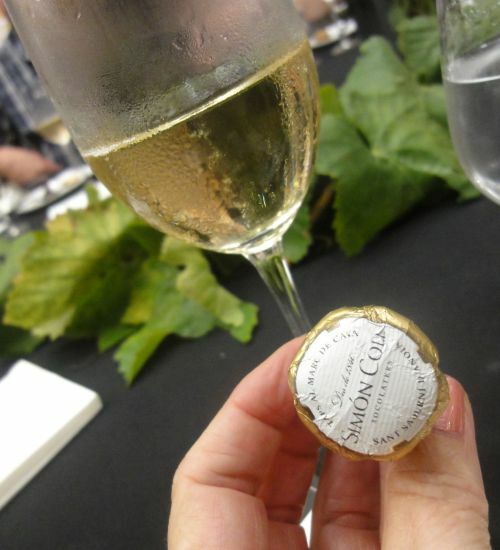 It’s an easy breezy luxe day out when you use Wine Pleasures www.winepleasures.com to give you an insider’s view. They will open winery doors that are normally closed to the public, introduce you to the winery owners and/or winemaker and generally ensure you see, smell and taste what you want. And if you are not sure what that is, they will organize tours for the absolute beginner to the most sophisticated Gran Reserva collector. You cannot replicate this experience on your own. On your own, walk to the Escriba bakery and coffee house on Las Rambles, just a few steps from your hotel. This is magical place for its architecture and its picture perfect pastries. Perfect spot for a croissant and coffee in the morning, right after you enjoyed some fresh fruit from the Boqueria indoor farmers market a few steps away. This is a small slice of luxury in the middle of the chaotic Ramblas walkway. To buy a unique souvenir, stop off at the very cool Concret. It’s a small but inspiring shop hidden not far from the Basilica of Santa Maria del Mar. Concret belongs to Andreas Kyburz a well-known interior and shop designer. Walk past the bulky items like chairs, lamps, lightings and head off to the gifts easier to get home like jewelry, candles, purses, molds made from real sardines fished locally, teapots, mugs, and lovey cherishables of all sorts…truly irresistible. You might even see a Catalan hat called a barretina, which is a traditional hat that was frequently worn by men living on the Mediterranean. What man wouldn’t love that? Cuisine is varied. A current trend is for pop-ups and hidden restaurants. Have your concierge check out to see what The Supper Club and Urban Secrets is up to. Or consider La Caseta restaurant on a Wednesday for grilled sardines. There is live rumba on Wednesdays. It’s in the middle of Montjuic Wood overlooking the harbor, so it’s a real insider destination. Most people would do anything to get a reservation at Tickets bar but I also recommend the two Michelin starred Enoteca at the Hotel Arts Barcelona. Get the Concierge working on this for you before you leave the states. If you’re thinking about cocktails try Paspartu in the quarter of Santa Caterina. Next to it is a tasty place for beer lovers called Ale and Hop. Boca Chica lounge is the hands down winner where you will enjoy great cocktails and very interesting, chic people. Take a moment to experience the rooftop terrace. The staff will relay your order up to the bar below to reserve whatever wherever you want. 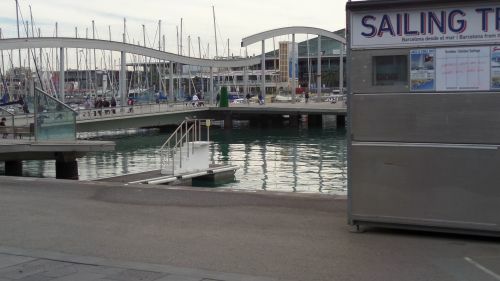 Rent a private boat Private Yacht from the Vilanova Grand Marina, one of Spain´s most beautiful Marinas. It’s just 35 minutes by car or train from Barcelona. Sail off to the coast, perhaps towards Sitges. This private and intimate sailing experience is remarkable at sunset. Whatever your luxury preference is as you travel, I hope I’ve added some spice and emotion to your Barcelona trip through my luxe guide. So until we meet again in the best places this world has to offer, I wish you the best in your travels far and near. To read the Luxe Beat Magazine version of this article click on the title Guide to Barcelona. Linda Kissam is a professional travel, food, and wine writer based out of Southern California. Linda specializes in easy, breezy destination stories focusing on what makes each destination special through it culinary and wine, beer and spirits scene and the soft adventures that surround those pursuits. She loves sharing her favorite things about the places she visits. Her time spent as a publicist for a well-known wine region taught her it's the story behind the product and the experience of the place that makes the trip memorable. Her readers prefer the short getaway (2-5 days)nationally, the long stay abroad, and have the money to make their travel plans a reality. She never knows if a story will end up being based on finding the perfect latte, ordering Pommes Frites with Parsley Butter in a small French bistro, checking her email in a small cafe in Sicily, or attending a wine seminar aboard a cruise ship. She mentors three Wine Review Councils, reviewing domestic and global wines. She never travels without a notebook, camera and a great pair of Brighton flats. She has an addiction to personable people, interesting wines, gourmet coffee, fabulous chocolate and spicy foods. Anyone who knows her will tell you that she loves traveling anywhere, by any means, and is somewhat obsessive about local jewelry and a good taco.